Courmayeur’s Calendar of Events for the 2018-19 ski season. 24 December – Rhémy de Noel: Rhémy de Noël is Courmayeur Mont Blanc’s very own Santa Claus. Come and meet the characters of Courmayeur’s Christmas fable in Courmayeur, Rhémy de Noël was a chimney sweep who was born on Christmas day. The story tells how Rhémy ventured up to the glaciers of Mont Blanc on Christmas Eve to find out why the town wasn’t yet white with snow. At the summit, he discovered the snow had been trapped by a terribly lonely Giant. When Rhémy decided to stay and keep him company, the snow began to fall on Courmayeur. Rhémy now comes down to the valley only on 24 December to give presents to the children, who light a lantern to show him the way to his beloved Courmayeur. Remy de Noel in Courmayeur. Courmayeur’s Calendar of Events. Carnival in Courmayeur. Courmayeur’s Calendar of Events. 13 Feb – Lo Camentran, the Carnival: Very popular feast belonging to the ancient folk tradition, with the celebration of the Mardi Gras starting early in the morning with the local “Beuffons” enliving the town with their bells, and this street party goes on and on until night time. 14 Feb – Saint Valentine’s day: dedicate to the winter patron saint of town. Click on the Mountain- Courmayeur. Courmayeur’s Calendar of Events. 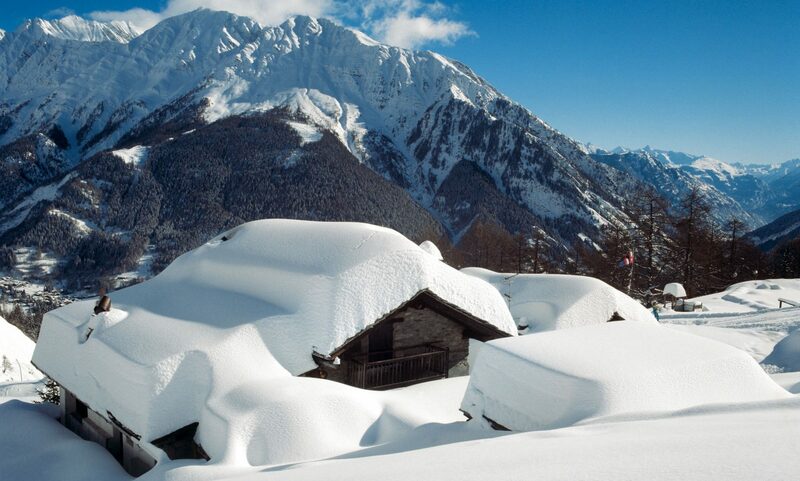 The Ski-Guru TRAVEL can organise your trip to Courmayeur or to any ski resort in the world. Please contact us at info@the-ski-guru.com or fill up the form here with what you would like to do with your details. If you liked this guide, you should read the Must-Read Guide to Zermatt, to Crans-Montana and to Val di Fiemme.